Always ensure that you write in a very positive way avoiding negative language involving use of words such as dislike, hate, etc. 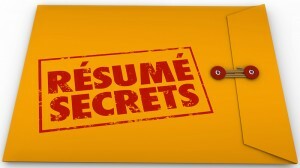 Ensure that your resume is properly structured highlighting salient aspects of your work and educational experience. Information that is scattered and disorganized leaves room for doubt and makes things difficult for the interviewer. Remember-A resume is intended to communicate your profile details in the simplest way possible, and the best way to do this is by properly structuring it. Always make it a point to substantiate your claims with relevant facts and figures. It helps better establish your credentials. Strictly avoid using pictures or including any links to videos in your resume. Avoid including any work or educational experience which may not be relevant to the role that you are applying for. Always make use of positive action verbs that will help the interviewer know precisely what you did and how you were involved. 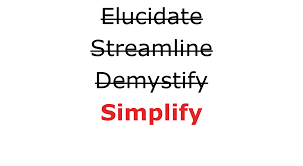 For example, use words such as managed, demonstrated, imparted, etc. Strictly avoid using any slang or jargons in your resume. Apart from leaving a negative impression it will create confusion for the interviewer as regards your exact profile. Avoid using pronouns such as ‘I’ or ‘Me’ as whoever is going through the resume is well aware that it is yours. The use of pronouns only creates redundancy in this case. You may be 100% confident about what you have written in your resume but it is always advisable to have someone else go through your resume and verify whether everything is in order. In case you are having difficulty crafting your resume, you can consider taking professional help. Most of the recruiting agencies have in-house experts who can help prepare the resume that reflects your skills and experience in a manner that is best suited for the role that you are applying for.